It's 1934, and though Prohibition may be over, there's still plenty of crime for an ambitious young Hollywood private eye to investigate. Despite a checkered past, Riley Fitzhugh is well connected in the film industry, which is why he's hired by a movie mogul whose lovely girlfriend has disappeared. The gumshoe also agrees to recover a stolen Monet, even after dead bodies start turning up. 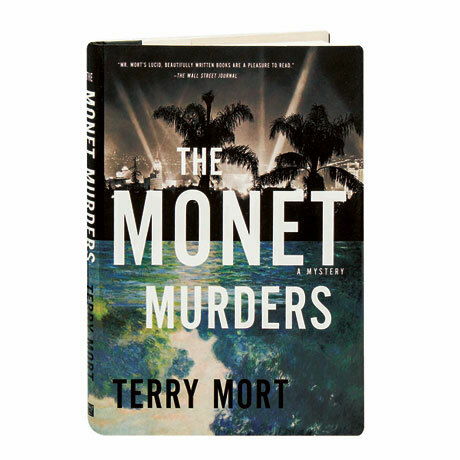 Before this caper is over, Riley will uncover gambling ships anchored offshore, get tangled up with the girlfriend of a mob boss, dispose of a would-be actor's body, enlist a UCLA professor's help—and inspire a passel of screenwriters who hang out at his favorite watering hole—in Terry Mort's delightful tribute to hard-boiled detective fiction and film noir.